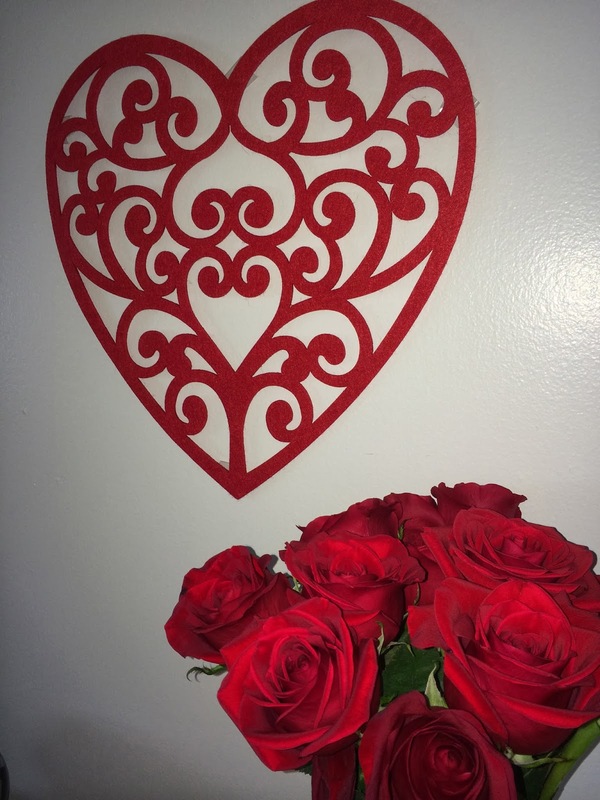 A Slice of Jilli Pie: Simple Valentine's Day decor! 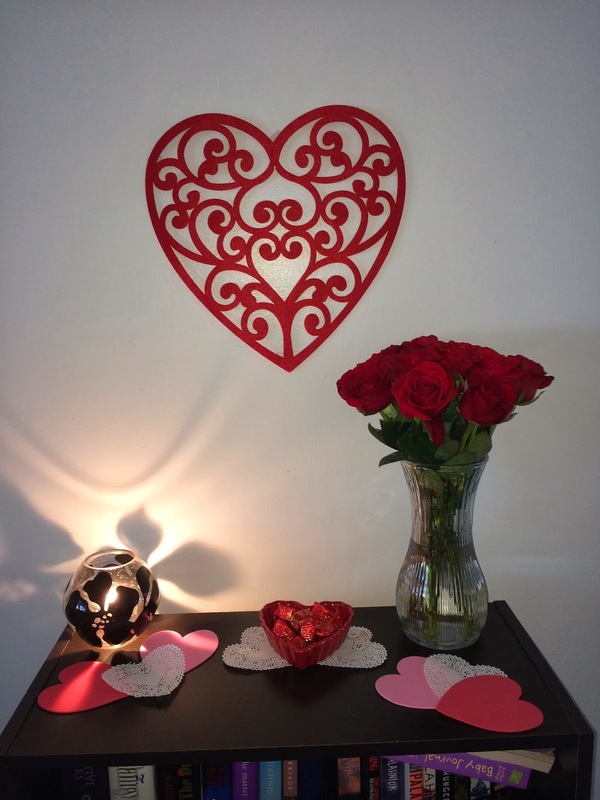 For Valentine's Day this year I wanted to decorate (it was depressing when the Christmas decor came down and we needed something around the living room) just a few simple spots. It's one of my favorite holidays because my loved ones are most important to me. Since I was a little girl my dad has given me a special gift or candy or note and I'm excited to see Gaven and Genevieve begin their Valentine's Day traditions together. Also, like I said, I really love crafting and any excuse to decorate! I have found that making any kind of garland is my favorite go-to for simple home decor. It covers a lot of space and it fun to layer! I took these awesome $1 pom-poms and strung them on some yarn (with a yarn needle) that I already had from another project. 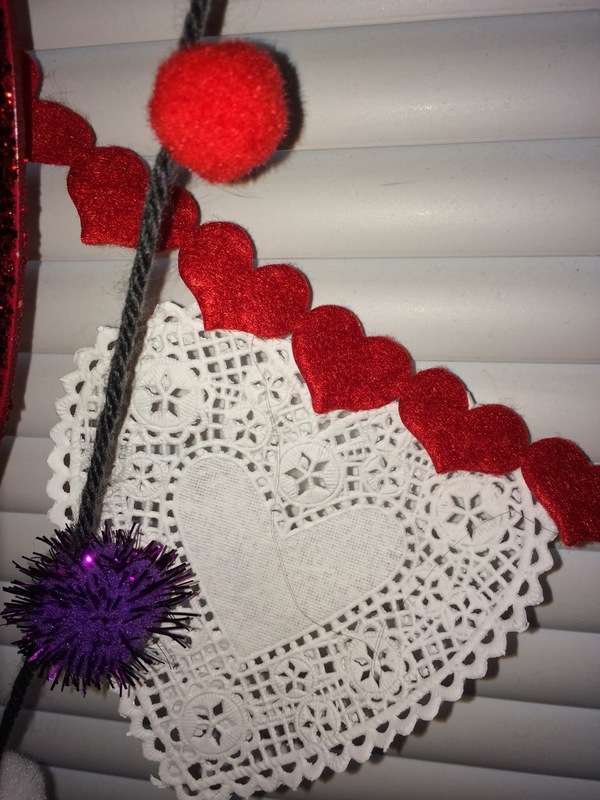 I also found a cute mini-heart garland and taped some paper heart doilies on it then just taped both up on the window! 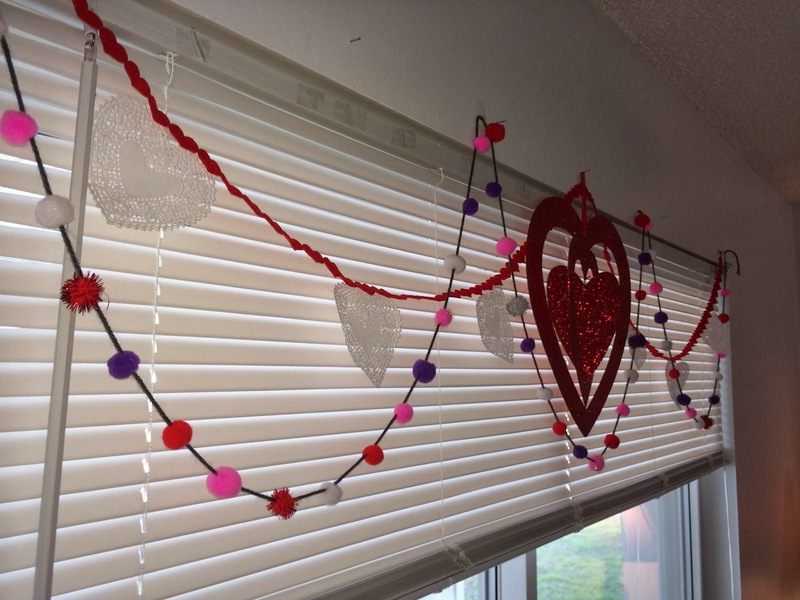 I found two bigger heart decorations and hung one in the middle of the window and one above our bookshelf. The one above the window was pricey at $5.99 at Michael's but I used my 40% off coupon on it. (If you don't have the Michael's/Hobby Lobby/JoAnn's app on your smart phone, get it! Use coupons from there every time you shop.) The heart above our bookshelf was in the Target dollar section for $3. 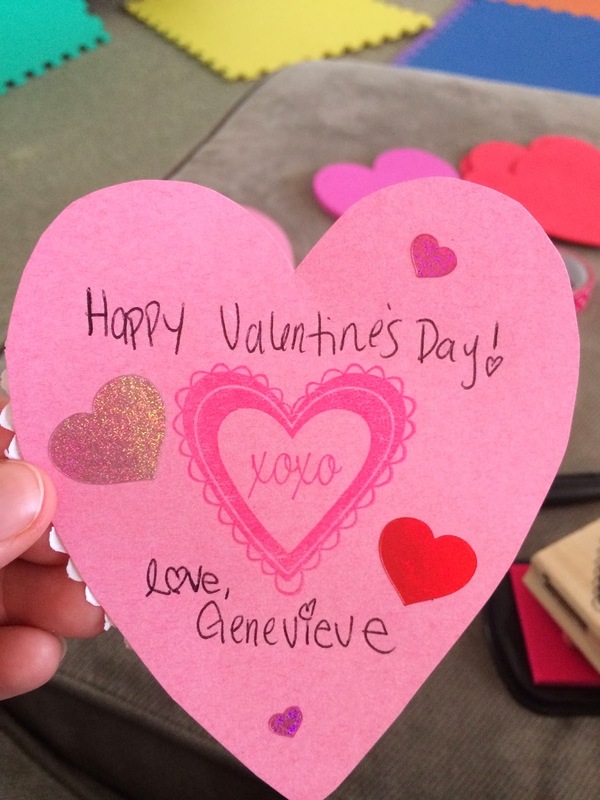 Of course I also had to make valentines to send to all of Genevieve's family members. 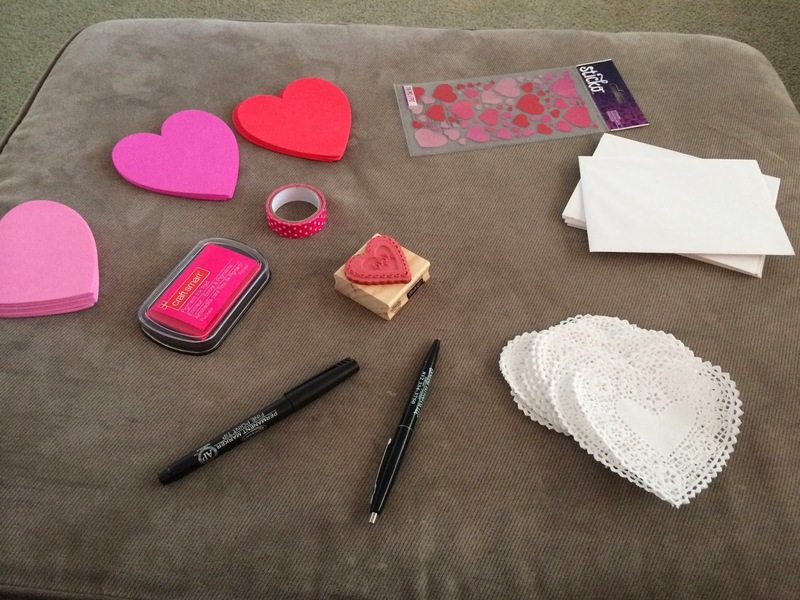 Anyway, we (ok, I) just stamped, decorated and signed some cute little hearts and taped a doily on the back. Super simple and effective. The more hearts the better! ;) I used the left over doilies and hearts for the decor on top of the bookshelf and for the garland. The roses were "just because" flowers from my sweet hubs about a month ago when these photos were taken. 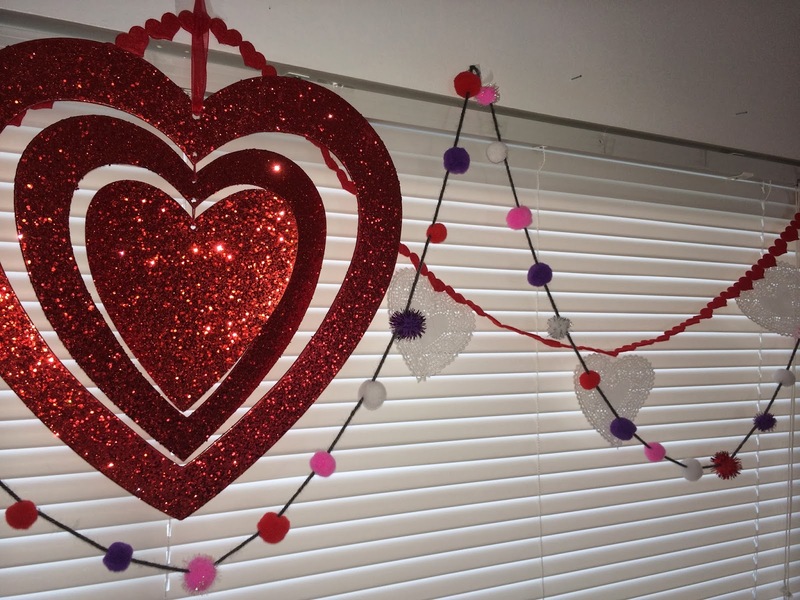 I love the way you decorated for Valentines Day. You are a Sweetie! So cute Jilli! I LOVE the ball garland!